Being a young female entrepreneur with lots of hormones going on in my body, I have a lot of mood swings (and anger). I have techniques I use to get out of a bad mood but sometimes, when I am bloodthirsty angry, I don’t want to change my mood. I want to punch and scream at everyone. Society tells us this is not a good thing to do. However, society also tells us that if we are angry we “need to calm down”. I don’t know if anyone has ever told you to “calm down” when you are seeing red? Well, for some reason the words “F**** you” fall uncontrollably out my mouth while my eyes bulge out my face and I generally hope they poo their pants while solemnly swearing to never say those two words again. 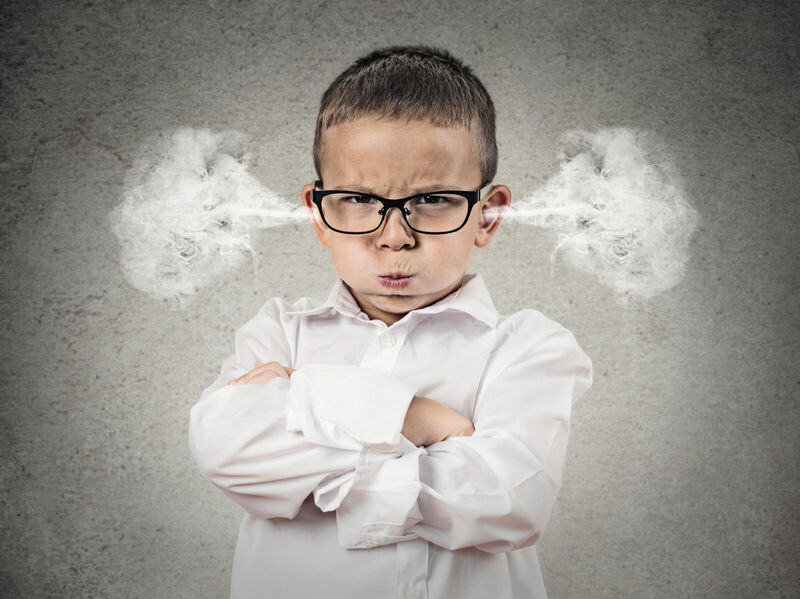 Psychotic behave aside, I want to share why being angry can be a great thing and how to use it to accelerate you achieving your goals. Note: unless I am in a business meeting. Then I do my best to keep it under control. But as soon as I am out of that meeting and in my own space, all hell breaks lose. Back in my younger days, I used to suppress my anger. This lead to headaches, I started thinking negatively and I criticised myself more with my internal dialogue. This lead to getting in a depression spiral, I hated life and I noticed by body getting ill.
Why can being angry be a great thing? If you are angry, it means you have a lot of energy. This is a fantastic thing. Do you have any idea how powerful you are when you have this much energy inside of you? You know that feeling when you are so angry you have superhuman strength. You don’t give a f*** about what people think or the consequences. Firstly, grab a pen and paper. Off the top of your head, what are goals you have been waiting to achieve? i.e. Lose 5kg by going to the gym; place five offers on the properties you viewed last week. Often I realise these are goals I have been procrastinating on because “I’m scared of making the offers” or “I’ve been too tired to go to the gym”. You might realise the same. Be polite but direct – when I’m angry, I don’t give a crap what they think so I am more than happy submitting my justified cheeky offer. If you haven’t got offers ready yet, see points below. Tell everyone you live with not to disturb you for the next hour or two then lock yourself in a quiet room with your laptop. If possible, put your phone on flight mode so you can focus without getting digitally disturbed. Here’s my thought process: How many do you need to become richer than the person you are angry at? That’s right. Don’t get even, get richer. Then double it. Double their salary or whatever they make. Once you have purchased your holidays and fancy cars or whatever floats your massive yacht, use your wealth to become a better human being than them. Give generously to worthy causes. By this point you’ll be so amazing you will have mastered the art of forgiveness. But in the meantime, let this anger fuel you to achieve more. Most people have health goals. I have found a crucial factor in me getting into shape is my diet. The weeks where I notice significant results are the ones where I have planned my meals and therefore avoid late night snacking and eating out. However, I find creating meal plans and shopping lists a ball ache. I can only do it when I have a lot of energy. So when I am angry, it’s a perfect time – Personally, I hate using my laptop when I’m angry so I grab an A4 notepad and pen, lie on the floor and write ‘Day, Breakfast, Lunch, Dinner’ at the top of the page. Then the days of the week under the ‘Day’ column. Grab that emo notepad. Go somewhere peaceful (I like nature :)) and write about your feelings through song/poem/spoken word…blog post (guilty!). Or if you are more a painter, great. Picture grabbing your brushes, some plain paper and go where you feel drawn too. – There is a creative genius in us all gagging to come out, let’s finally make the time to let it out. ideally in nature or by some kind of water formation, such as a river or lake. I find water very calming. Most importantly, GET YOUR STEPS IN! If anyone is with Vitality health or has a step tracker, they will understand the importance of hitting the 10k and 12.5k step mark. Anger fills you with energy. This is a powerful energy. Focus on what goals you want to achieve and focus this powerful energy on tasks that help you reach your goal.